Submitted by dc on Wednesday, December 20, 2017 - 05:24. I was talking with some friends a few days ago who were complaining about passwords, ads, and other annoyances everyone encounters while browsing the web. Since I don't have any of those issues, I told them about my setup. They said it helped them a lot, so I figured I'd post my setup here too. For my web browser, I use Brave. I posted about it a while back. It makes chop suey of ads, fingerprint and tracking methods, and upgrades insecure connections to HTTPS. I don't mind ads, but sites nowadays are getting ridiculous with the third-party tracking. I can't fathom not using Brave at this point, and this alone will improve your browsing experience. I use it on my phone as well. For my private email, I use ProtonMail. 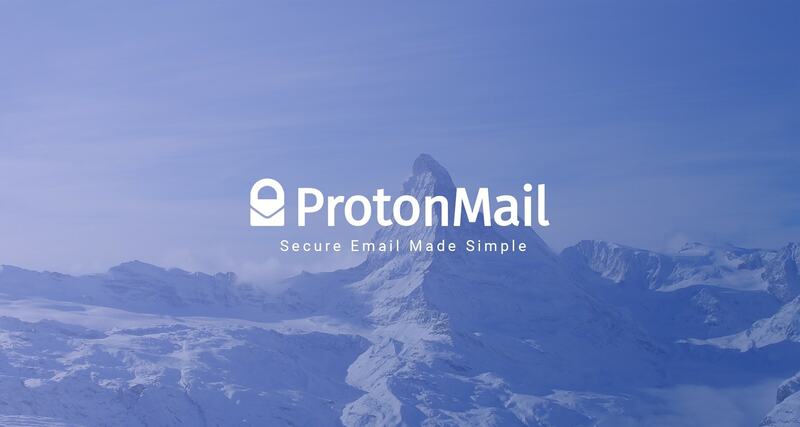 It's a secure, end-to-end encryption email system based in Switzerland. Emails are typically housed and secured at a centralized location, leaving them vulnerable to hacking, theft, or worse, seizure by some rouge law enforcement agency. Don't think Google doesn't know about those YouTube links of Ronald Reagan speeches you've sent around with your GMail account. ProtonMail emails are encrypted in your browser, so any compromised data from the servers are useless. For secure anonymous internet connections, I use ProtonVPN. It complements ProtonMail, and when I'm on the road, at a hotel, or any place outside of my home network, I hop on my VPN connection and can work and browse without worry of someone compromising me or eavesdropping on my connection. A VPN is “virtual private network”, a secure tunnel over the open, public insecure internet. I use the premium plans for ProtonMail and ProtonVPN, but they have lite free accounts. You get more options with the premium accounts but the free accounts are more than plenty to stay secure. I absolutely hate storing and managing user accounts and passwords. I use bitwarden for my password vault and it removes everything I hate about logins on websites. I can't remember the last time I had to remember a password. It generates secure passwords, will easily regenerate passwords, and just makes browsing life easier. It integrates with the popular browsers, including Brave. On my phone, I installed D-Vasive, a security app that locks access to prevent intrusion and spying. For example, on my previous phone, after I installed the app, I discovered the phone tried to access my camera every 15 minutes. The app kept catching it and stopping it, but it was unnerving that something was trying to spy on me. I haven't had that issue on my new phone, but this app gives me piece of mind. It protects your wireless connection, microphone, BlueTooth, phone, and camera. You white-list the apps that can have access, blocking everyone else. I think this app cost $5 or $10, but worth it. For search, I use DuckDuckGo, a non-tracking search engine. It compiles search results from hundreds of sources and I've hadn't had any issues finding results I want. That's my basic setup. I run Linux, but these services are available on Windows and Mac as well.